The HEFW Webinar Series is a great way to learn about the latest in financial wellness across higher education. During these sessions, you will have the opportunity to learn from leaders in the field regarding best practices, research, and policies that are helping move the field forward. Please click on one of the links below to register for the webinar. More webinars will be added soon! Campus financial education programs often ask, “How do you train peer educators?” Come learn training techniques that have seemed like well-kept secrets. Peer-to-peer is the pinnacle of education delivery methods but requires a robust training program to ensure its effectiveness. Come learn training approaches that are efficient to administer, ensure students become successful peer educators and provide students a leg-up in their transition into financial services careers. It’s a WIN WIN WIN! In this workshop Colin Ryan will provide a behind-the-scenes look at his 2018 PNC Bank live-audience webcast at Bowling Green University to teach his personal playbook on how to identify moments for authenticity. Attendees will also have an opportunity to ask Colin about their challenges when it comes to audience connection. What do you do when students know HOW to manage their finances, they just…don’t? This webinar examines the underlying emotions behind students’ money behaviors, and how those emotions in turn affect their motivations, so we can use that information to help shift their actions toward better habits. Using the metaphor of baseball, this webinar uses motivation theory to show how making a few tweaks in the way we talk about money to students can make a big difference. In 2015 The Bureau of Consumer Financial Protection (the Bureau) launched a national financial coaching initiative. They trained and deployed 60 professional financial coaches into 60 communities across 37 states around the country. The financial coaches typically provide services in organizations already serving their target populations: veterans and low-income individuals and families. Prior to launching this initiative, the Bureau had commissioned a rigorous evaluation of financial coaching that demonstrated the effectiveness of the approach. 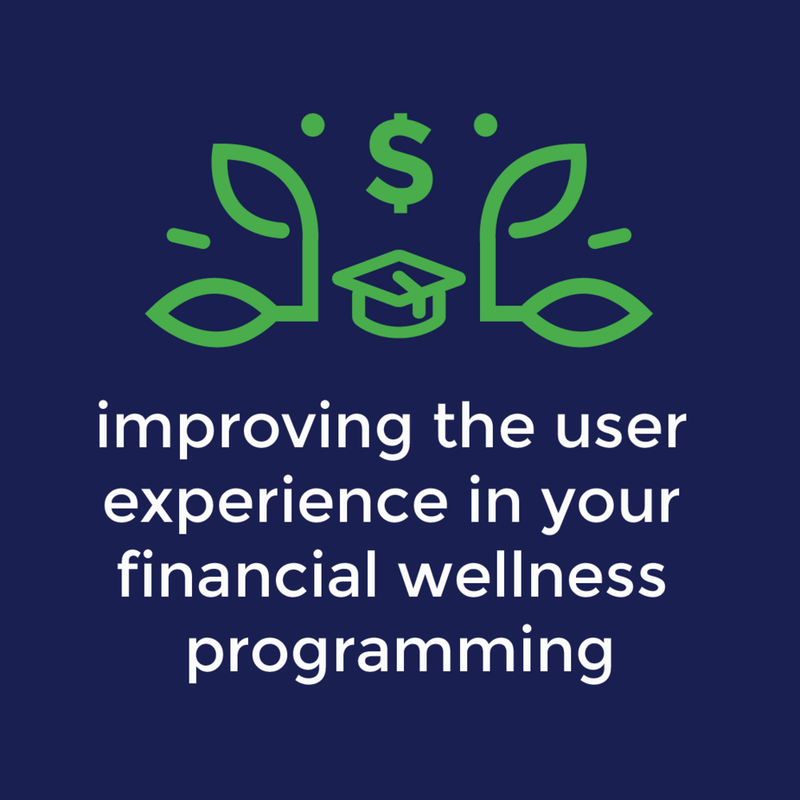 In their study, conducted by the Urban Institute, financial coaching helped clients achieve both objective and subjective improvements in their financial situations. This webinar will provide an overview of financial coaching and the Bureau’s program, including outcomes and lessons learned. Join us to learn about how to share complicated financial aid information in a more student-centered way. We will focus on two case studies closely. First we'll examine uAspire’s Decoding College Costs research on the need for more standardized award letter terminology and formats. Second, Western Governors University will share information about its Responsible Borrowing Initiatives (RBI) program which provides better information to students about their loans and recommends they only borrow what they need. The case studies will share key data, behavioral economic strategies as well as recommendations for policy and systems change solutions. If you're presenting at the Summit, you may want to know what to expect and what tips we have to make your session successful. If you do want to know or even if you're not presenting at the Summit and just want to get some tips on making any presentation you ever do amazing, this session is for you. In this session, learn about financial apps that are being used to help students to achieve their financial goals and how you can integrate them into your financial education and financial counseling/coaching programs. Attendees will leave with a financial apps worksheet and learn best practices. With the complexity of the cost of college, determining how much a student will have to pay for a college education can be incredibly frustrating. A collaboration through multiple offices at Indiana University has led to a student cost calculator that both helps families estimate the total cost of college and encourages behavior changes to lessen the cost. During this webinar you'll learn the features of the calculator, how it maximizes user experience and how your institution can implement a similar initiative.